On International Day for Biological Diversity, May 22, 2018, the UK Government has announced the latest round of successful funding bids from the Darwin Initiative to deliver on flagship committments set out in the 25-Year Environment Plan. Environment Secretary, Michael Gove, awarded a total package of £10.6 million to 52 projects over the next three years from across the globe that will support and enhance biodiversity. Since 1992, Darwin Initiative has funded 1,055 projects from 159 countries, with a value of £140m. The Darwin Initiative is a grant scheme that helps to protect biodiversity and the natural environment around the globe. Many of the applications reflect the UK Government’s 25-Year Environment Plan commitments to protect the marine environment, to secure the benefits of biodiversity for the poorest communities, and to help prevent the extinction of species. The fund is administered by the Department for the Environment, Food, and Rural Affairs and uses the UK Government’s Official Development Assistance. 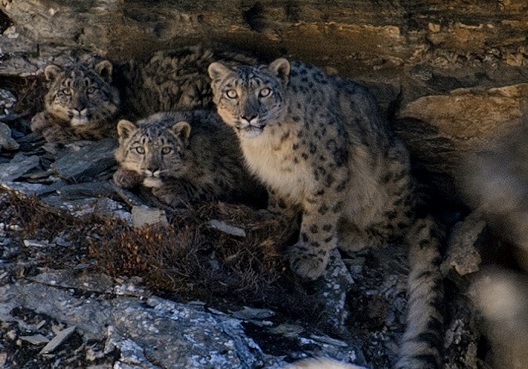 As a project receiving funding, the Snow Leopard Conservancy has been given support for sustaining snow leopard conservation through strengthened local institutions and enterprises. A full list of projects, including a number of small schemes, to be supported by the Darwin Initiative is available on gov.uk.